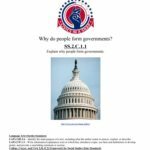 How Do We the People Influence and Monitor the Government? This resource provides students with an English language video and associated student friendly readings (in English, Spanish, and Haitian Creole), as well as reading and video guides and self assessment tools. 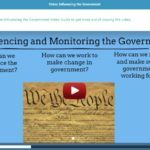 Using these, students will consider the different ways that citizens, interest groups, and the media can influence and monitor government. 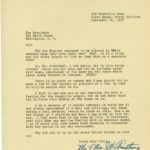 This lesson, developed in collaboration with the National Archives, has students explore a number of primary sources, all connected to the events at Little Rock High School. It asks students to consider how the events at Little Rock may or may not have been impacted by the words and leadership of President Dwight D. Eisenhower. This resource provides students with an English language video and associated student friendly readings (in English, Spanish, and Haitian Creole), as well as reading and video guides and self assessment tools. 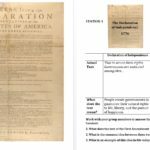 Using these, students will explore the road to independence and key events along the path to the Declaration of Independence! 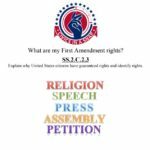 This lesson will introduce to young citizens their First Amendment rights. They will consider examples of the First Amendment, and describe what this looks like in their own lives. 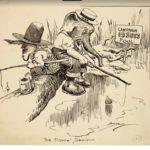 Using the political cartoons of Clifford Berryman, this lesson, developed in collaboration with the National Archives, has students consider the impact of political parties on politics, government, lawmaking, and voters. The heavy focus here is on breaking down and interpreting some powerful primary sources to learn more about the role of political parties. 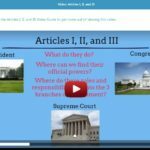 This resource provides students with an English language video and associated student friendly readings (in English, Spanish, and Haitian Creole), as well as reading and video guides and self assessment tools. 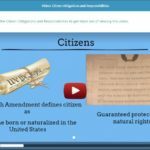 Using these, students will explore the obligations and responsibilities of citizenship. 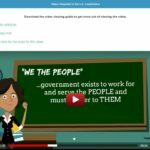 Essential Question: How are the ideas from the Declaration of Independence connected to our government today? 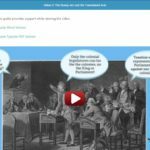 In this lesson, developed in collaboration with the National Archives, students will work through stations, considering various primary documents, in order to answer the essential question.